We bring you all the Weekly Islamic videos on Namaz(Salaah). These videos will help individual for learning, educating and bettering his or her Salaah i.e Namaz. 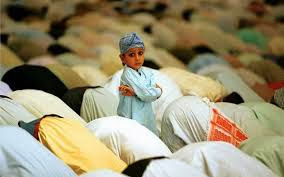 These videos also help everyone to Learn about Islam, Conditions for Namaz (Salat), How to Pray Namaz, Importance of Prayers in Islam, Step by Step Method for performing the Eid Prayer (Eid Namaz / Salat), Position of Feet in Namaz and much more. The videos shown here are form our YouTube channel as well as from other channels embedded on our website using the sharing method. We in no way declare that these are our videos. The videos shown here are only those which are free to share.